Singer-songwriter Johnny Cash was born February 26, 1932, in Kingsland, Arkansas. He was from a family of poor farmers, and so he turned to music often, even playing the guitar at age 12. In 1950 he joined the Air Force and trained in Texas where he met his first wife. In 1955, Cash made his first recordings with Sun Records. Over time Cash developed an outlaw image by playing in prisons, wearing all black, and developing serious drug addictions. Cash's next record, "Folsom Prison Blues", made the country Top 5, and "I Walk the Line" became No. 1 on the country charts. By 1960 Cash was a world recognized artist. I have always loved cash’s style of art and how he isn’t afraid to do things in a new way. He inspires me to do the same in my own life. This is the official website of Johnny Cash where you can find photos, videos, biography, news, games, community, events, and discography. This site has an in depth synopsis of Cash’s life. This site has a short bio on Cash’s life as well as his discography. Steven Wilson is a guitarist, singer, and songwriter from the United Kingdom, most well known as the frontman for the progressive rock band Porcupine Tree. 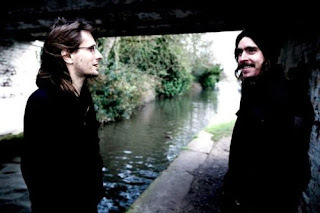 He also is a highly regarded producer, sound engineer, and general collaborator in progressive rock and metal circles, having worked with such bands as Opeth, Marillion, Anathema, Anja Garbarek, and Jethro Tull. His sense of rhythm and melody is incredibly well-rounded, and his song and lyric writing abilities are sublime. Songs often tackle complex emotional issues such as depression or loss, as well as social issues such as the collapse of civilization or crime. Though this may sound depressing, the music ranges through a variety of rock styles, while dipping into folk, metal, and jazz motifs and sensibilities. Wilson has an impeccable sense of crafting emotion through music, without the addition of lyrics. Themes and inter-weaving melody lines create an experience with each album. The lyrics themselves just add on to the whole package. My favorite work of his is the Porcupine Tree album Deadwing. The range of dynamics and moods from song to song is vast, with quiet interludes allowing room to process the music and contemplate what is being heard in between heady spans of genius songwriting. Steven Wilson's official website, including information, tour dates, and media. 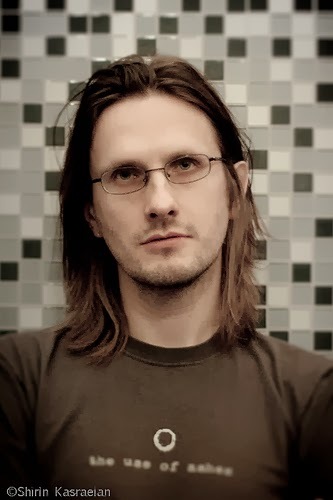 The official YouTube channel of Steven Wilson, featuring music videos, live performances, and assorted other footage. An intriguing interview with the man himself. Provides a look at the motivation behind his art and style. Thebe Neruda Kgositsile, better known as Earl Sweatshirt, is a 19 year old American rapper who is a central figure of the rap group Odd Future. Earl Sweatshirt gained publicity shorty after releasing his mixtape, Earl, and his mom sent him off to boarding school in Samoa until he turned 18. After coming back from his hiatus, Earl was destined for greatness and it was not before long that he started popping up as a featured artist for many rappers including Tyler the Creator, Frank Ocean, and Mac Miller. 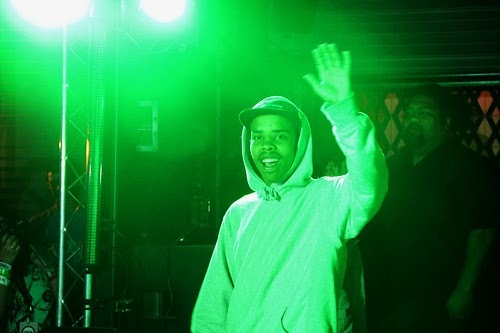 Not only did we start seeing him on other tracks, Earl launched his own website, gained over 50,000 followers on Twitter, and announced his newest album to be released, titled Doris. Doris was released on August 20, 2013, under Earl's own label Tan Cressida and Columbia Records. Doris featured Odd Future members Domo Genesis, Frank Ocean, Casey Veggies, Tyler, the Creator, along with Vince Staples, RZA and Mac Miller. The album featured complex rhyming and creative lyrics and was praised by Hip Hop fans worldwide. Earl is setting new standards for rappers everywhere by using a gritty underground style of production with lyrics that speak a greater truth that is often overlooked by the average listener. The real question is how far can this rap prodigy go? In the above link, Earl is interviewed by a journalist for Pitchfork. The journalist describes how it is hard to get ahold of Earl among many dropped calls as Earl is very particular with his publicity. An interesting read to get more background on the 19 year old rapper. The above link is to Odd Futures website, which Earl is a cornerstone member. Odd Future is a quirky group and the above website may be found offensive to some individuals. The link provides more info on Earl as well as his tour dates and locations for 2013. The above link is to Earls Rap Genius page. This may be interesting to those who want to understand Earl's music more and want to know the deeper content of his somewhat dark seeming lyrics. Rap Genius takes songs and breaks the lyrics down bar by bar to give the listener a better understanding on what the music is truly about. Yesulf Islam, born Steven Demetre Georgiou, commonly known as his former stage name Cat Stevens. Cat Stevens is a British singer-songwriter who's music has touched thousands. Stevens early music career began in the 1970's, with instant success. Stevens first album Tea For the Tillman went triple platinum. Followed by his second album Teaser and the Firecat which also went triple platinum. In 1979 Stevens joined the Muslim community and followed the muslim lifestyle to win the 2003 World Award, 2004 Man of Peace Award, and 2007 Prize for Peace Award. Stevens work resonates with me in more ways then one. First off I play many instruments and enjoy covering some of Stevens work. Not only is his music fun to play and great to listen to I enjoy the message Stevens music holds behind it. Which leads me to my second reason why Stevens work resonates with me. His activism for peace has been incredible, and continues to be incredible as he continues to spread the word for peace at the age of 65. I can only hope that I will be able to make half the impact Stevens was able to make in terms of spreading peace. The link below is an interview with Cat Stevens telling the story of how his career started. Also going into some of Stevens largest influence in his music. The link below is a rare written interview of Stevens in 1976. Stevens rarely okayed interviews due to the fact that he did not want to be misinterpreted. The link below is a great biography of Cat Stevens life and career. Following his life from a young child to present day. It has been said that Arabic is a language of poetry. The fluidity and blurring of lines between the real and surreal provided by spoken word are a form of art, greatly revered and respected in the Islamic and cultural Arabic tradition. For much of the Arab world, the magic of western masterpieces such as the Mona Lisa, pale in comparison to the magic of poetic words on the tongue of an enchanting voice. Umm Kulthum is the epitome of this artform. Her voice has captured generations since she first began singing to Egyptian audiences in the 1930’s. She is remembered with great love and nostalgia by practically all of the Arab world, not just for her beautiful voice and impeccable pronunciation, but her ability to combine poetry, music, and emotion. In every Umm Kulthum song, one can her the artist pour herself into each note, each tone, and melody completely. Her emotion comes through tangibly and powerfully with each word. The NPR article below captures the indescribable power that her words have over the audience, even through a recording. For forty years her recordings captured audiences from across the Arab world for hours at a time, completely lost in the magic of her voice and presentation of carefully selected lyrics. While American families would sit gathered around the radio to listen to comedy broadcasts and jazz, Arab families sat for hours, enchanted by the poetry and resonance of Umm Kulthum’s iconic voice. It would not be an exaggeration to name her the single most important figures of Arabic music, possibly even Arabic art. 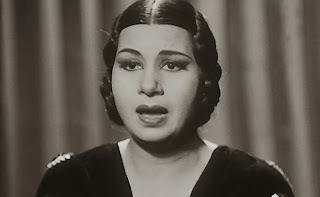 Without Kulthum’s contribution to the development of the modern Arab music style and entertainment, Cairo would possibly never gained the reputation of being the “Hollywood of the Middle East.” Her style, poetry, passion and decades –long devotion to performing is inherent in any discussion of the Arab arts, and any such discussion would be incomplete without acknowledging her contributions to modern non-Western music. This article gives a nice detailing of Umm Kulthum’s life and long lasting career as a performer. The last few paragraphs especially highlight the dedication with which Umm Kulthum devoted her life to music and entertainment. This is an opinion piece on the NPR music website which I believe gives good insight into the significance of Umm Kulthum and her music to the Arab world. It gives some background on the great Egyptian singer, but mostly I appreciate the way the author unveils the mystic-like appeal of Umm Kulthum and her legendary voice. It illustrates nicely the great nostalgia and love with which Arabs remember the beloved singer. This article describes again, the dedication of fans to Umm Kulthum and her iconic reputation in the Arab world. By explaining the incredible presence at her funeral, the readers get an image of the passionate love that Umm Kulthum’s audiences had for the beloved artist. Over the last four years I have been introduced and exposed to the buddhist religion. The religion has always been one of the more interesting ones in my opinion (I am traditionally not a religious person) and over these last couple years I have become overwhelmingly intrigued with the many components and aspects of this particular religion. I find myself admiring the many statues and tapestries of the buddhist gods and symbols. 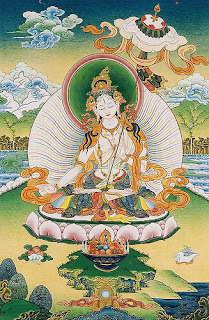 I soon found an amazing artist named Nick Dudka and his thangka paintings are beautiful. I am not only inspired from his wonderful work but also interested in learning from them. Nick Dudka, Painter and Artist. 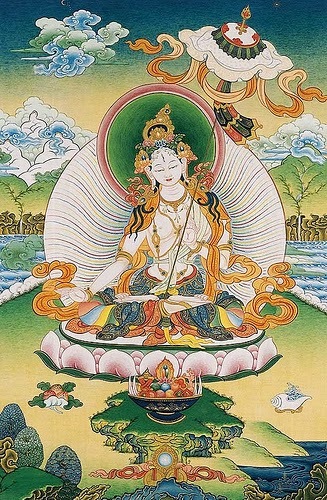 This is the first website I found while doing research on the artistic pieces of Buddhist gods. Nick Dudka has a beautiful gallery displaying all his wonderful pieces of work. On the left hand side there is a description of his life. The link above is when Nick gave a presentation on his work and blew many people away with his knowledge and talent. This last link shows the many pieces of work he has created and the diversity of the colors and gods he has chosen to showcase. You are beautiful and you are all alone." Christa Päffgen, known better as the musician Nico is not only one of the most iconic figures in the experimental-inspired music scene of the 1960s through 1980s but also a sterling example of the difficulties that many innovative female artists, especially singers and songwriters, experience in the creative need to be taken seriously. With an inarguably arresting and striking appearance and a very distinct, sometimes viewed as cold beauty, she began her career as a model, more often than not having that arresting beauty made up to look more approachable, soft, feminine, and arguably commercial. And although she very successfully shed this forcedly softened and inevitably blurred image of herself in moving from her native Europe to the United States and becoming rooted as a “Superstar” into Andy Warhol’s Exploding Plastic Inevitable events, she couldn’t avoid often being unaccepted by the truly artistic scene she deserved to be a part of, instead of her absorbance into Andy Warhol’s exhibitionist and more or less vacuous projects. 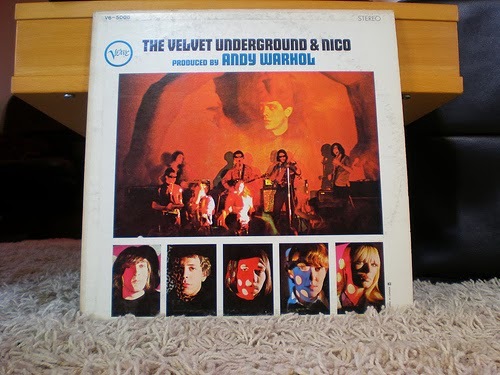 This is best seen in her involvement with the band The Velvet Underground, as the band was more or less ingratiated to Andy Warhol, seeing as he took them in when they were unable to support themselves, and so when he decided that The Velvet Underground should collaborate with his Superstar Nico, the head of the band, Lou Reed, really couldn’t say no, although he viewed her as a nuisance in the way of expressing his artistic vision, and as a hollow extension of Warhol’s movement. 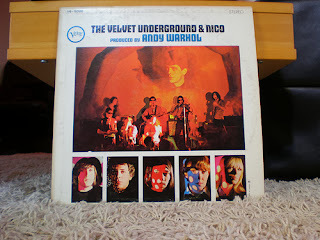 But the fact is that she was as distant from Warhol’s other projects as The Velvet Underground was. 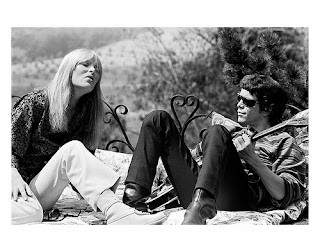 Nico’s and Lou Reed’s primary involvement in heroin as opposed to the rampant use of LSD, speed, and barbiturates among the other figures in that scene is a strong, albeit sad illustration of this distinction. While the others, most prominently Edie Sedgwick, were exploring themselves through the arguably more superficial mind alterants listed before, the fact that Nico’s life struggle with substances was characterized mostly by heroin, the drug of choice among artists and debatably the most conducive hard drug to artistic expression, shows that she was in fact living more in art than spectacle. Her severe and foreign beauty set her distinctly apart from other female musicians, especially singers of the time, but she was still brought down simply because of her attractiveness and womanhood, making her a fascinating and unique face of that era in music, but more importantly to me, her serious, melancholy and often bleak way of expressing herself is a strikingly perfect manifestation of the sadness of life, especially in its distinction from the way the fellow artists of her scene and many artists still today were and are dealing with their existential anxiety: through a garish and vacuous rebellion against and unavoidable carnation in materialism and commercialism. A fairly obvious but highly informative website that brings together all of the basic information about Nico’s career, containing a biography, a list of all her discography and filmography, and a collection of her works as a model.